The Friends were formed in 1977 with a committee of six under the chairmanship of Peter Smith. The aim was to provide support for the hospital in two main areas – amenities for the patients and staff, and medical equipment that was beyond the purse of the NHS. First modest purchases that year were in the former category – curtains and carpet, silver Christmas trees and a Christmas buffet lunch for the staff. However, within a year we had embarked on a daunting fund-raising appeal to raise over £50,000 for advanced equipment - to perform cataract surgery for children. 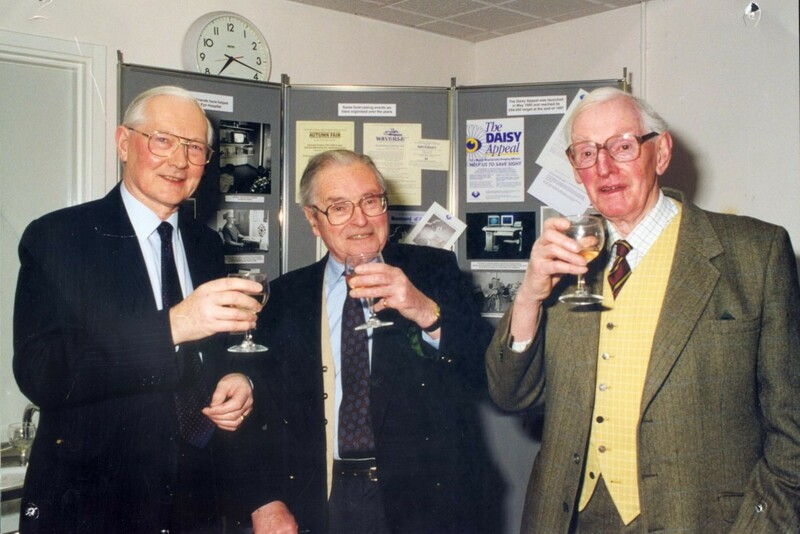 From our very earliest days, Consultants Neil Dallas and Vincent Marmion both mentioned the boost to staff morale resulting from the Friends’ support and in 1980 Christopher Dean Hart said “the facilities the Friends have provided and the resource they represent have meant that the hospital has been able to attract the very best consultants and junior staff to fill vacancies”. In 1994, Consultant Stuart Cook said “the support the doctors and nurses receive from the Friends enables them to give a standard of service not possible otherwise”. In 1999, reviewing the Friends’ first 21 years, Chairman Michael Knight said: “Over 21 years, FBEH have raised £670,000 and made grants of over half a million pounds to the hospital. Of the total sum raised, £200,000 has been raised by special appeals. Over the last ten years, the major commitment has been to the salaries for the Fellowships. Of total spending over the 21 years, these salaries have accounted for one quarter; half has been spent on major medical equipment – DAISY, lasers, KPEs, ultrasonic scanner, fundus camera & operating microscope; the last quarter on smaller items of equipment and a wide range of amenities for patients and staff." More recently, following the Friends’ part funding of the Fluorescein Angiogram Retcam module in 2012, Vitreoretinal Consultant Richard Haynes said “In terms of life years of vision, treating these babies is probably the most cost-effective treatment we do, as a few hours of treatment results in a whole lifetime of vision”. The Friends now have about 300 members and supporters. There are currently nine trustees who meet six times year. They are advised by several hospital staff usually including the hospital's General Manager, a senior consultant ophthalmologist, thetre manger and an honorary publicity officer. When requesting funding the Hospital Strategy Group (senior consultants and management) must decide the hospital’s priorities before submitting requests to the Friends. All projects are carefully assessed by the trustees in conjunction with the hospital in terms of the need and the impossibility of meeting the need from NHS or other funds. Founded following a conversation between Christopher Thomas, then chairman of the Avon Area Health Authority, and local businessman Peter Smith. Peter became initial Chairman, supported by founding consultants Neil Dallas and Christopher Dean Hart. Dinah Harrison became Secretary – a position she still holds. Surplus funds from the successful KPE appeal allowed us to buy a laser as well. Michael Owen (then Chairman of the Bristol Society of Opticians) was invited to join the Friends’ Committee. He accepted and served continuously until April 1998. Launch of In Sight our annual newsletter under Chris Newton's production. Chris remained as our PRO for 34 years until retiring in 2015. Grant for Ocuscan ultrasonic scanner to assist retinal diagnosis, for the then recently-appointed vitreoretinal specialists Rodney Grey and Richard Markham. Tony Hooper (Chairman of Taunton Cider, a patient and friend of Christopher Dean Hart) became the Friends’ second Chairman. (Peter Smith stood down when he took on the office of Sheriff of Bristol, but he remained on the Committee until 2005). Bristol Eye Hospital rebuilt. The Friends funded beds, cots, chairs etc and specialized clinical equipment for the theatres in the new building. Senior Nurse Dorothy Peel said “without the Friends’ help we would have had to recondition old beds and we would have had trouble getting the best use out of two operating theatres as we would not have had enough instruments“. Second major appeal for a new laser was launched - with an original target of £30,000, increased to £40,000 because a major early donation almost covered the initial target. Over £100,000 was raised which enabled the Friends to maintain the laser facility in the hospital for several years until the NHS budget could take over. Commitment to share cost of funding Fellowship in Vitreoretinal Surgery for three years, initially. This post eased the clinical workload, contributed to research and furthered the experience of the holder. Second KPE and grant towards new operating microscope; also replacement of argon laser. Michael Knight (then the Bristol Agent of the Bank of England) became the Friends’ third Chairman. Launched biggest appeal so far - for £80,000 for a Digital Angiography Imaging SYstem – DAISY was installed by Christmas 1996. The hospital was now able to fund the Vitreoretinal Fellowship itself and our salary contribution was re-directed to fund a new part-time clinical post – a Fellowship in Oculoplastic Surgery. Drummond Forbes became our fourth chairman. Provided grant towards diabetic screening camera, a YAG laser (used to correct posterior capsular opacification, a condition that may occur after cataract surgery, and for peripheral iridotomy in patients with acute angle-closure glaucoma) and a corneal topography machine (used to measure the natural curvature of the cornea very precisely – instrumental in diagnosing and monitoring the progression of two particular eye conditions: keratoconus and pellucid marginal degeneration). Last instalment for Oculoplastic Fellow as the NHS Trust decided no more Fellowships. Instead the Friends took on the funding, on a trial basis, of a patient support nurse to counsel and help patients who are facing loss of an eye, disfigurement or blindness. Sharon Bambrick took this role and remained in place until she retired in early 2014. The role is now paid for by the NHS. David Easty (retired consultant ophthalmic surgeon) became the fifth Chairman. 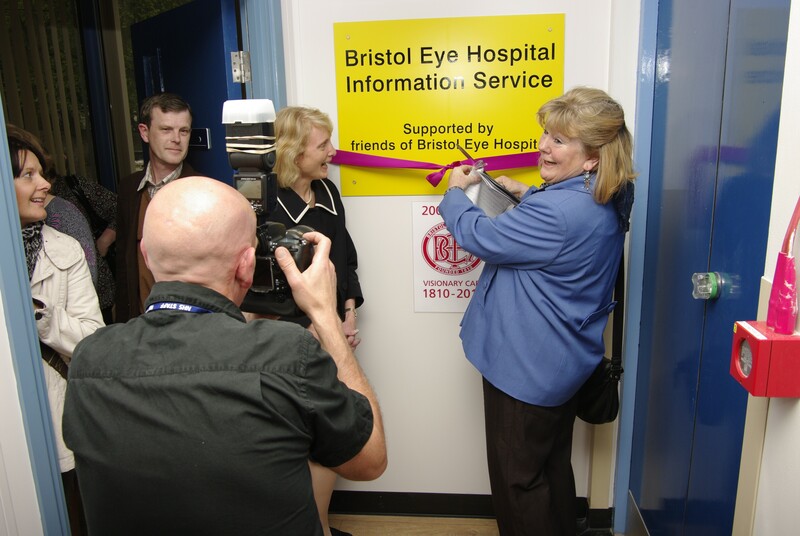 £128,000 grant for Retinal Imaging Systems – the largest amount committed to one purchase. Annette Barrington, who joined the committee in 1996, became our sixth Chairman. Funding of new Office for Patient Support Nurse took the sum of all the Friends’ grants to the Hospital since inception in 1977 past £1 million. Part funding of Fluorescein Angiogram Retcam module for screening and treating eye defects of babies and very young children, particularly those born prematurely. Purchase of digital cameras and LED attached to a slit lamp, theatre microscope cameras and monitors, indirect ophthalmoscopes and a Corneal Collagen Cross-Linking Device and a contribution towards an ultrasound B Scanner. Richard Markham, retiring Clinical Director of BEH, became our seventh and current Chairman.